J.T. Miller Company has been providing businesses and lenders with quality insurance since 1926. The company works closely with lenders, banks, credit unions and financial companies, creating customized insurance packages that meet each customer’s unique set of needs. Like many companies, J.T. Miller Company was maintaining its own servers and paying a flat rate per month for a service vendor to assist remotely or send a technician out to fix issues when they occurred. Without a dedicated IT staff, Vice President Daniel Miller took on the responsibility to troubleshoot IT issues. According to Miller, the company was having consistent back up issues and needing to reboot every week. J.T. Miller Company began to evaluate its IT expenses, looking at cost-per-year over the past two or three server cycles and comparing vendors. What Miller found was that based on the costs to replace equipment every three to five years, having to update software and all the technician time to transfer data and fix errors, it made sense financially to move to a cloud solution. The company was an early adopter of the cloud back in June of 2010 - which to some, seemed like a strange thing. But to Miller, it didn’t feel like a risk at all. 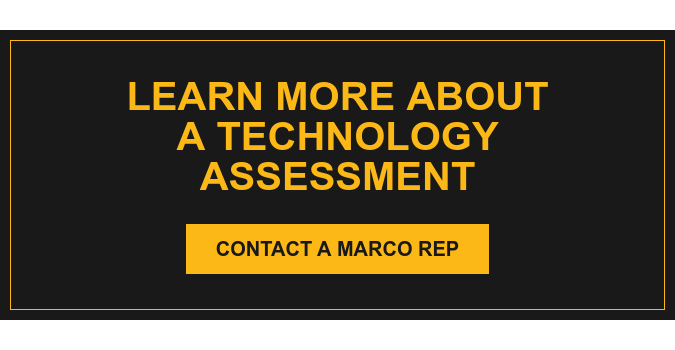 By using Marco’s cloud solution, J.T. Miller Company was able to have servers in a secure data center, an off-site backup and a team of technicians to take care of all its needs, without having to come out to their office. According to Miller, the most notable benefit of the cloud is the company’s reduced downtime. Prior to the cloud, J.T. Miller’s system was down 30 minutes per week and staff was dealing with the long process and hassle of a full reboot. After implementing the cloud, J.T. Miller Company moved its office location. Because of the cloud, Miller says they experienced a seamless transition in the move - with only a half of a day of a technician on-site, the company was up and running smoothly that very same day. As an insurance company with primarily financial institutions as customers, security is very important. Because of Marco’s cloud solution, J.T. Miller is able to provide documentation to its customers on the security of the off-site data centers where company information is stored. J.T. Miller projected a cost savings of up to 20%, but the real savings was in the decreased time and energy spent in IT maintenance. The five to 10 hours a week that Miller used to spend dealing with IT issues can now be spent on running a quality company that focuses on business and marketing initiatives.